Home to an extensive and user-friendly highway system, abundant traveler amenities, and spectacular scenery that ranges from mountains to forests to desert to beaches, the Fifty States are perfect for road tripping. Whether you have just a few days to explore a specific region or a few weeks for a truly grand adventure, discovery by road is easy and will be a truly memorable American experience. Those red craggy buttes towering over a barren valley floor with deep blue sky above are found in Monument Valley, an area on Navajo Nation land that straddles the Utah-Arizona border. 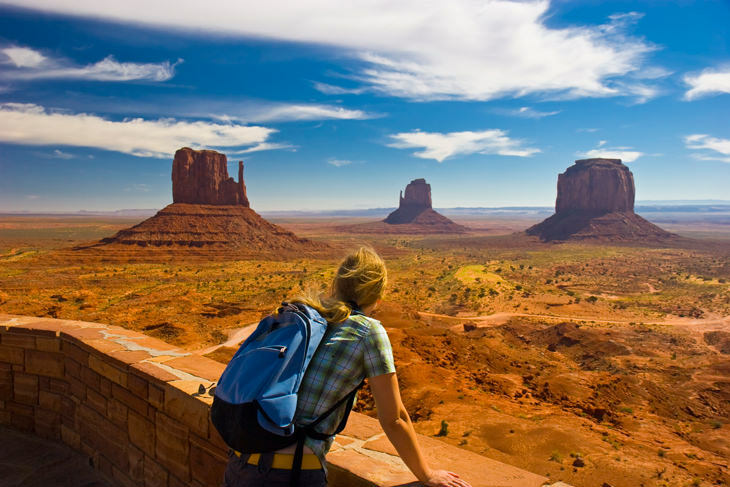 Just down the road from Four Corners, within the Colorado Plateau high desert, Monument Valley was popularized by the Western-themed films of director John Ford and actor John Wayne, introducing much of the world to the timeless landscape of the American Southwest. A well-maintained 17-mile dirt road allows you to easily reach memorable landmarks, such as Elephant Butte, the Three Sisters, and East and West Mitten Buttes. Alternatively, journey further off the beaten track with a Navajo guide by 4WD Jeep. The small nearby community of Goulding, established in 1923 as a trading post, offers camping and other services for travelers. The 49th state is a powerhouse of mountains; no less than fourteen major ranges are contained within the Last Frontier. Visitors to the capital in Juneau can easily discover the panhandle’s Boundary Range, the tallest peak of which is Mt Ratz at just over an elevation of 10,000 feet. 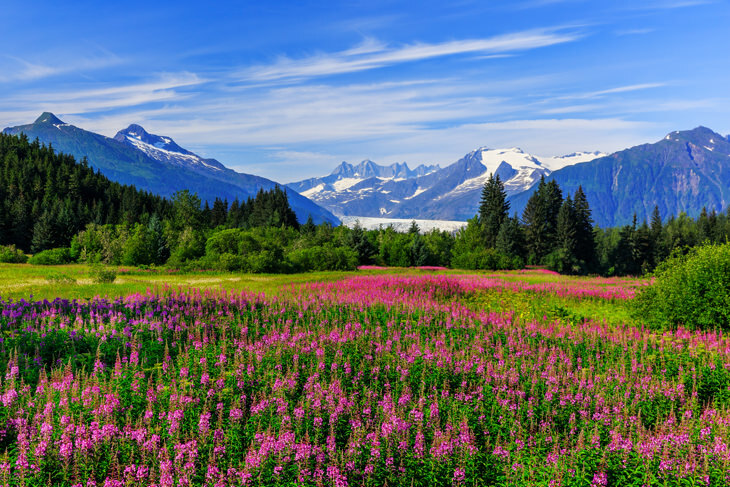 The largest portion of the Pacific Coastal Range that extends through British Columbia and into Washington, Oregon, and California, this rugged terrain is characterized by a lack of roadways – Juneau itself can only be reached by ferries. Several large icefields in the range give birth to over thirty glaciers, including the well-visited Mendenhall Glacier, twenty minutes from town. 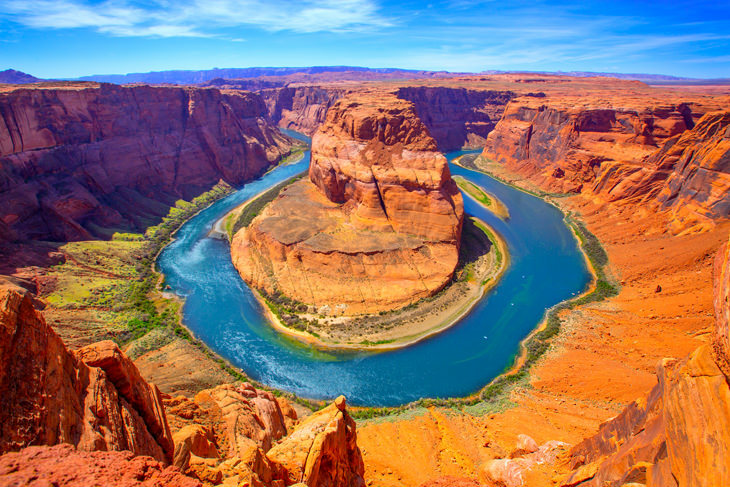 Just five miles downstream from Glen Canyon Dam which forms Lake Powell, the Colorado River takes the path of least resistance forming a full 270 degree circuit around an iconic and much photographed sandstone rock formation. Five million years ago, the Colorado Plateau experienced an abrupt uplift at which point the river began cutting a new path through the rock layers to the Pacific. Being that the river predated the uplift, resulting in the meander becoming incised – deep due to downward erosion. Easily accessed from the town of Page, Arizona, a 1.5 mile/45 minute hike to an overlook of the meader offers a grand vista and photo opportunity from 1,000 feet above the deep emerald river waters. Always a popular photographic opportunity and certainly a familiar sight from many movies and car commercials, the Bixby Creek Bridge (also just called the Bixby Bridge) is one of the highest bridges in the world of its type. Thirteen miles south of Carmel along California’s legendary Highway 1, this icon of the Big Sur coastline is situated 260 feet above the canyon, formed by Bixby Creek. Built in 1932, the contract for the Bixby Creek Bridge was awarded to the lowest bidder and the project was completed at a cost of only $200,000. 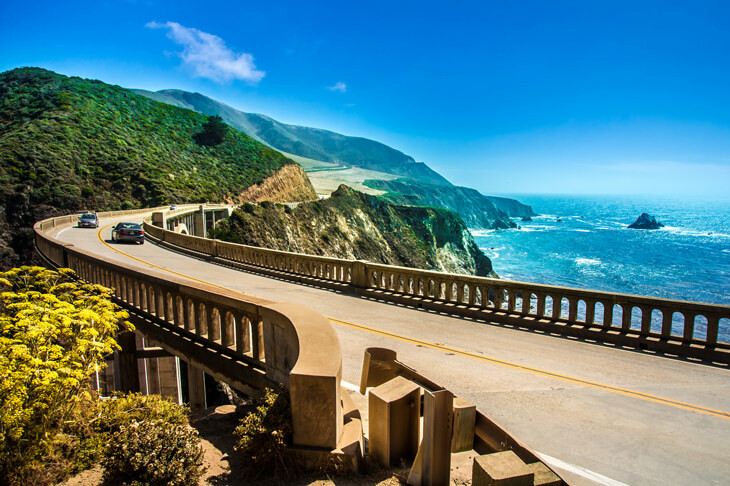 Extending 90 miles from Carmel to San Simeon, Big Sur is known for its rugged and dramatic scenery and the area was essentially isolated until the construction of Highway 1- the Pacific Coast Highway that follows much of the state’s southern shore. 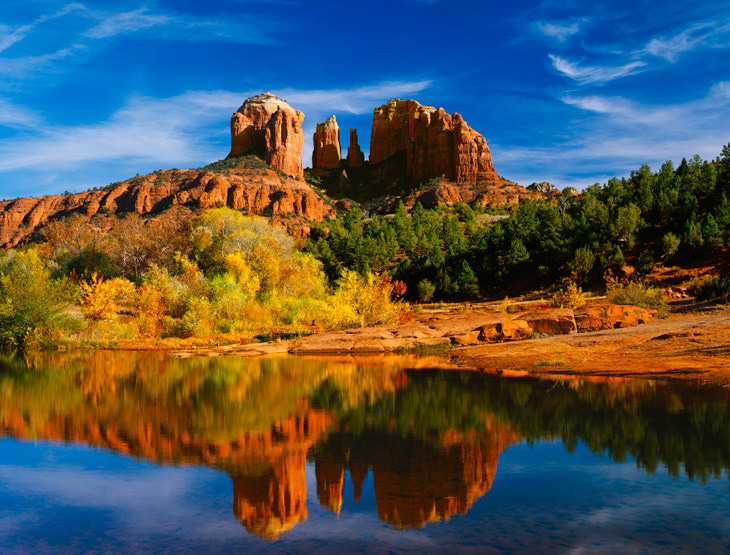 A 286 acre nature preserve, located less than ten miles from the popular getaway of Sedona, Arizona’s Red Rocks State Park is easily accessed by visitors of all ages. 1.4 miles of Oaks Creek meander through the park producing stunning reflections of its red rock canyon surroundings. Previously the privately owned Smoke Trail Ranch, the state of Arizona initiated a three-way land swap to ensure protection for this parkland. The park opened to the public in 1991 and today, Cathedral Rock is one of the state’s most known landmarks. A 1.5 mile round trip trail climbs into the ‘saddle’ of the formation, an elevation gain of 600 feet. 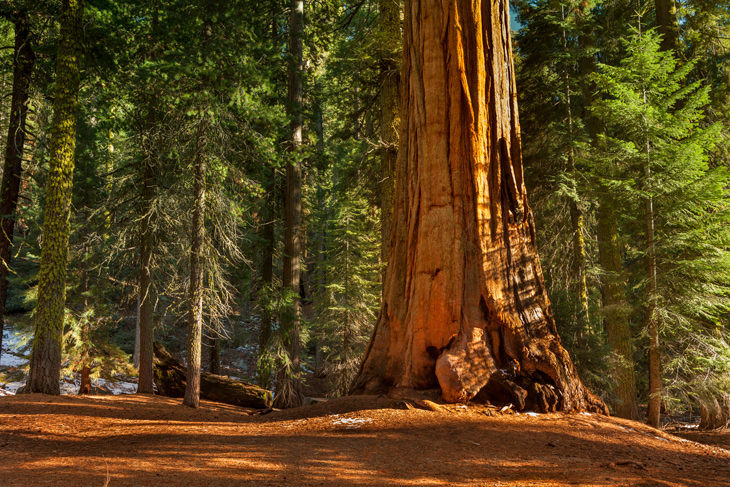 First formed as a National Park in 1890, along with Yosemite and Sequoia, the 154-acre General Grant Grove was added to a newly formed Kings Canyon National Park in 1940. The most widely known member of this stately grove is the 1,500+ year old General Grant tree; at over 260 feet tall (the equivalent of a 27-story building), it is among the largest known trees in the world and was named the Nation’s Christmas tree by President Coolidge in 1926. These trees aren’t just tall – General Grant is 107 feet in circumference; if moved to a freeway, it would block more than three lanes of traffic. Jointly administered with adjacent Sequoia National Park, Kings Canyon is also home to the world’s largest grove of sequoias – Redwood Canyon – as well as Kings Canyon itself, one of the deepest canyons in the country. While Yellowstone holds the honor of being the country’s first established National Park, portions of Yosemite received federal protection eight years earlier by way of a grant of President Lincoln. Lying 150 miles east of San Francisco, today’s Yosemite owes much to the continual efforts of naturalist John Muir, and its natural wonders became well known to the public through the black and white photography of Ansel Adams. 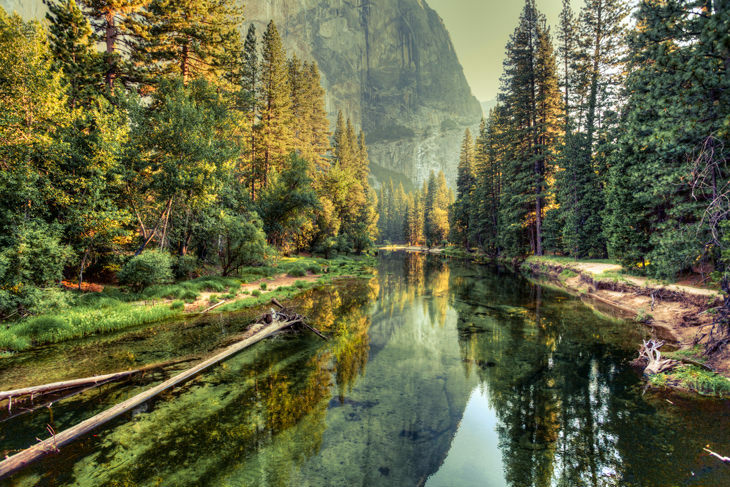 Originally encompassing only the Yosemite Valley and Mariposa Grove of sequoia trees, Yosemite today is one of the nation’s most visited parks, yet 95% of the park lies outside of the valley and is designated as a wilderness area. 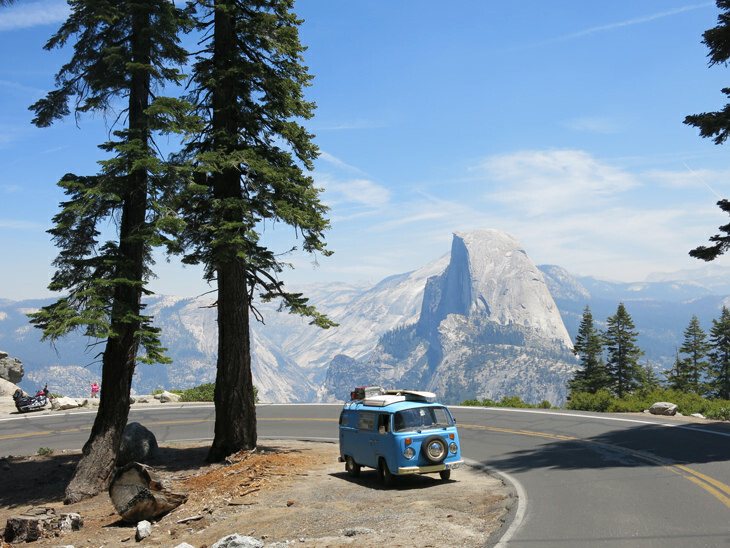 In the seven square miles of the valley, there are several iconic features, including the nation’s highest waterfall – Yosemite Falls – and the granite monoliths of El Capitan and Half Dome, both of which are popular with rock climbers. Claiming the title of the world’s first National Park, Yellowstone is also the country’s largest park (bigger than the states of Rhode Island and Delaware) and is known primarily for its unique collection of geothermal features. Officially classified as the caldera of a supervolcano, Yellowstone is home to two-thirds of the world’s geysers, but also numerous fumaroles, mud pots, and hot springs. 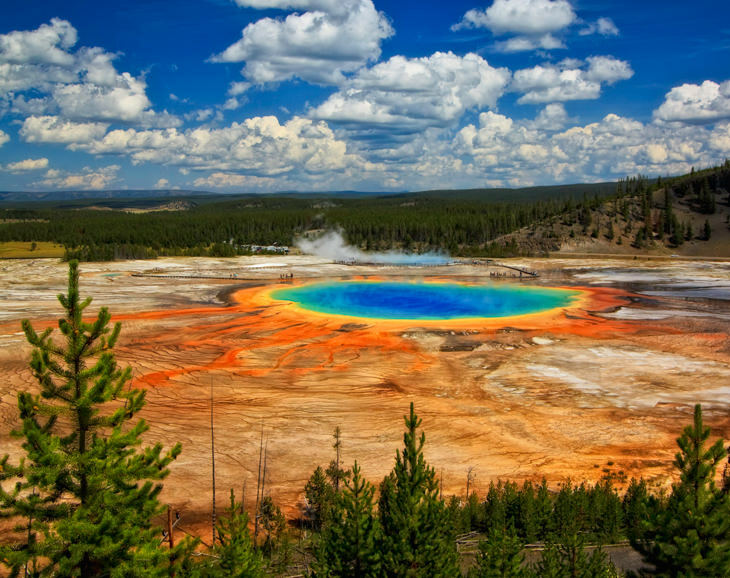 One of the most visited and photographed hot pools is the rainbow-hued Grand Prismatic Spring, its coloration a result of temperature gradient variations in the microbial mats around the edges of the 160-degree pool. Yellowstone is also known as an excellent place to sight wildlife, such as black bears, grizzly bears, elk, and bison. Being a peninsula extending into the Gulf of Mexico, Florida boasts over a thousand miles of coastline and, by one count, over 500 distinct beaches. Florida is literally the sunshine state – over 300 sunny days per year – and serves as a popular year-round getaway for vacationers of all ages for active pursuits and more leisurely relaxation. 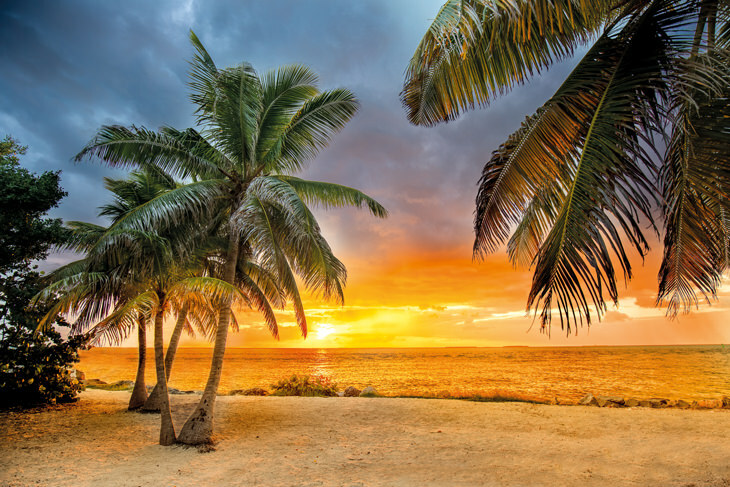 Known for its mild subtropical climate, Florida can claim twelve native species of palm trees, as well as a half million acres of orange groves. While the state has a multitude of attractions, including several big-name theme parks, most visitors to Florida find themselves on a beach at some point or another; the Atlantic coast is known for golden sands and surfing worthy waves, while the calmer Gulf coast delivers a more laid back beach scene. Updated: 22 March 2018. (First published: 8 January 2018).